Many parents will be looking for fun activities to keep their kids busy and happy. Cass Art specialise in high-quality art and craft materials, so we've come up with a fun creative activity that won't break the bank. This is a great way to spend an afternoon in October half term, while it's still warm enough for a tromp around the woods in search of materials and inspiration. If your local woods aren't too muddy, this is a lovely activity to do outside. Our woods were decidedly soggy, and our three-year-old had been a bit too enthusiastic about splashing in the lovely puddles, so we collected a good haul of stuff and took it home to get started. Back home, we tipped out our treasures on the kitchen table and started playing around to see what we could make. Pinecones are perfect for making snuffly little hedgehogs. A top tip from Oren, aged seven: "If you stick on the eyes with glue they usually fall off, so I use little blobs of clay instead." 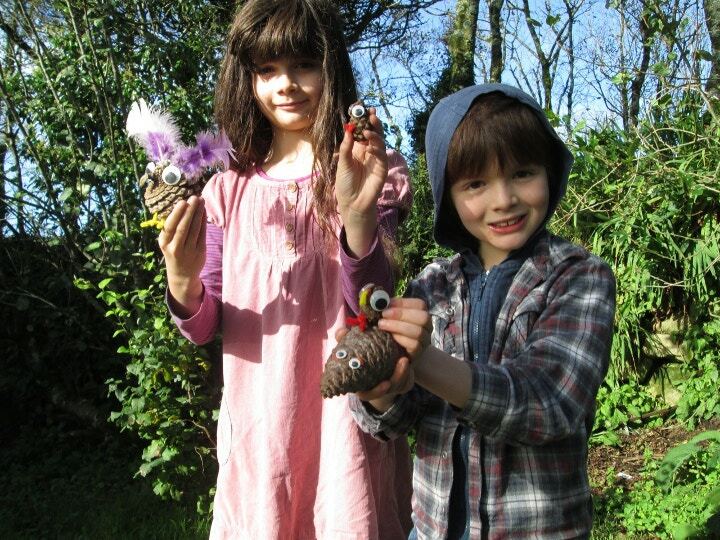 We also made wise pinecone owls, with large googly eyes, pipecleaner beaks and feet, and brightly coloured craft feathers for wings. Then we decided we'd had enough of real animals and started to get a little more imaginative. We used a blob of white clay to make the head for a fantastical creature who we named The Spirit of the Forest, then gave him an oak-leaf cloak and pine-needle whiskers. We're very proud of him and plan to hang him on the tree this Christmas. 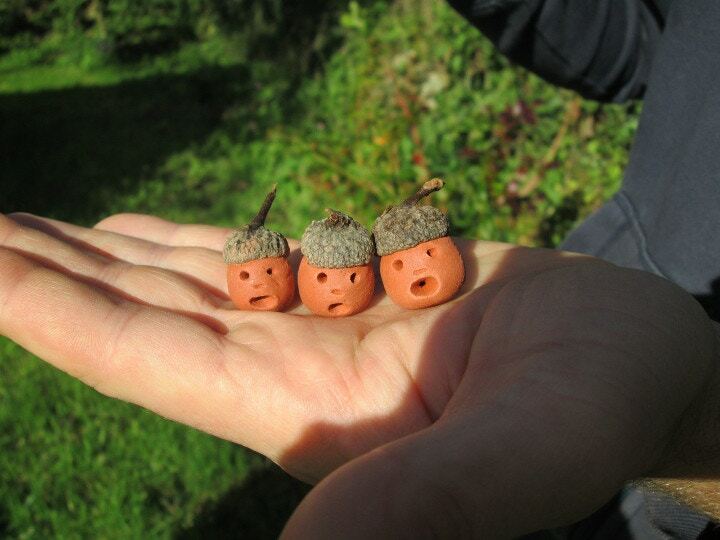 We also used blobs of clay to make little heads, with acorn cup hats, and carved faces into them with a twig to make them look like carol singers. If you were doing this at Hallowe'en, you could make scary faces – perhaps you could even leave some hanging from trees in the woods to spook everyone!